BRYAN EATON/Staff photo. 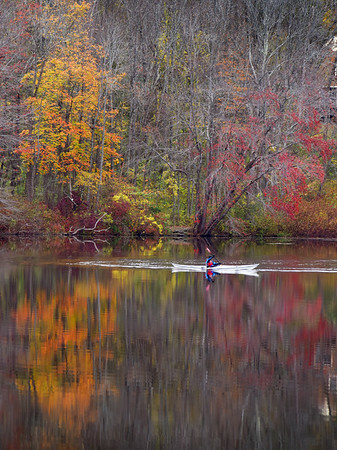 One of two kayakers on Lake Gardner on Wednesday morning paddle past what's left of the foliage at the bottom of Powow Hill in Amesbury. Many leaves were blown off during the storm that came through starting on Sunday night.